More impactful business development support that provides entrepreneurs with robust business basics is needed to increase small business success rates, while a decline in youth owned businesses has emerged as cause for concern given South Africa’s dire unemployment figures. 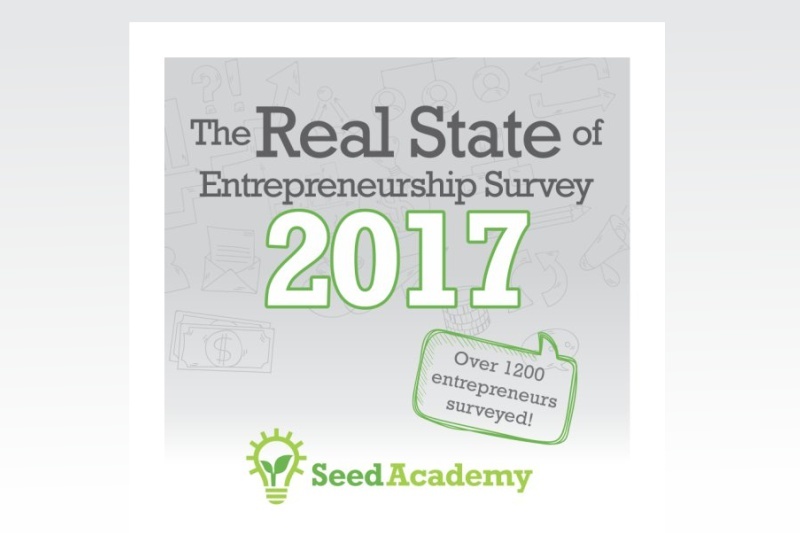 These are just some of the findings of South Africa’s largest entrepreneurial survey, the Real State of Entrepreneurship in South Africa 2017, announced by Donna Rachelson, Seed Engine CEO, incorporating Seed Academy and the WDB Seed Fund. Conducted by Seed Academy and now in its third consecutive year, the survey is the biggest and most widely referenced of its kind. This year’s survey, which canvassed over 1,200 entrepreneurs, expanded its scope from start-ups to all entrepreneurs at any stage of business development to gain valuable insight on the true state of entrepreneurship in South Africa. “Encouragingly, we are seeing the gap between the number of male and female entrepreneurs start to narrow as women represented 47% of entrepreneurs surveyed. This gives some indication that efforts focused on the development of women owned businesses are beginning to pay off. Similar initiatives are now urgently needed to develop youth entrepreneurs so that entrepreneurship is viewed as a ‘real’ career option,” notes Rachelson. Expanding on the success of previous years, the 2017 survey sharpened its focus on the challenges faced by entrepreneurs in key areas such as access to funding, business support and skills development. Although some 65% of survey respondents were in possession of a post-matric qualification and a sizeable majority at 85% had at least one year’s work experience before starting a business, many entrepreneurs indicated that they require education specific to the practicalities of running a business such as marketing support and business planning. Rachelson says that while Centres for Entrepreneurship at TVET colleges are making strides in entrepreneurial education, both the public and private sectors need to look at what more can be done and how this kind of education could be incorporated into both basic and tertiary curricula. This year’s survey has also revealed that the top sectors represented by respondents are Information Technology (IT), Business Services, Construction, and Advertising, Marketing & PR. These are however weakly aligned to the South African government’s priority sectors of Manufacturing, Construction, Utilities, and Telecoms, indicating that more aggressive efforts are needed to incentivise businesses development in these key priority sectors. According to Rachelson one important aim of the survey is to positively influence the entrepreneurial ecosystem in South Africa by providing the basis for robust engagement for policy makers and providers of financial and non-financial support to business in South Africa. In addition, the research functions as a useful touchpoint to help educate individuals thinking about starting a business, and those already running businesses, about the current challenges and opportunities facing entrepreneurs in South Africa. “With each survey, we learn something new that challenges us and the broader entrepreneurial ecosystem in South Africa. Armed with concrete new insights we are better equipped to make significant changes to the way we support entrepreneurs,” says Rachelson.